If I’m honest, there are plenty of times I’m not sure what to do with Jesus. Living a life of faith in the western world makes this somewhat difficult. The impact of what has been traditionally taught about Jesus is everywhere. When you start to see Jesus in a more complex way, especially if you were raised with a black and white understanding of who he was, it can be pretty disruptive. It’s not that I think the stories we learn about Jesus are irrelevant; they can be profoundly meaningful. These stories, though, are often presented in a way that seems to be more interested in reinforcing what we already believe, keeping people happy, and serving our own interests. When I knew that I my ideas about Jesus were changing, I figured there would be some push back. It’s like if your kids were playing on the playground at the park and I came along with a tool box and started taking out random bolts. You would probably try to stop me. You would tell me what I was doing was dangerous and persuade me to put down my ratchet. 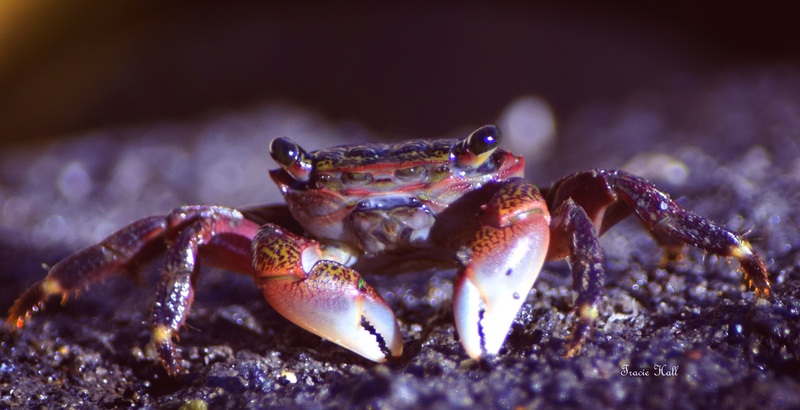 In Falling Upward, Richard Rohr describes one crab trying to escape from a bucket of crabs. No matter how hard she tries, her friends would keep grasping at her, pinching her and pulling her back into the fold. You can mess with a lot of things in Christianity. People don’t like it when you mess with Jesus. It can feel dangerous. Rethinking Jesus, though, is central to what it means to deconstruct our faith. If we ever are to having a meaningful relationship with him, we have to see him as something more than a magical man in a bath robe whose sole purpose was to die in order to forgive you of lying to your spouse or cursing at a coworker. Jesus didn’t come to suddenly enforce a set of expectations with eternal consequences. His whole message was calling out systems of power, re-humanizing those that had been oppressed, and sharing the message that we’re all going to be ok.
Peter Enns, in The Sin of Certainty, talks about the verse you’ve probably read a million times already: Galatians 2:16. He says that the idea that a person has value has to shift during this deconstruction phase, from a set of beliefs about what to a set of beliefs about who. If you grew up in a church, you likely grew up in a system that was obsessed with appearance, with sin management, and with contractually laying out the set of beliefs that you were supposed to have. If you want to be in – if you want to enter into this idea of community – you have to sign below. And people do it – not because they love rules but because they crave community. Stray from those rules and you’ll get pinched and pulled back or straight up rejected if you manage to escape. Enns says the verse is, first of all, worded poorly in most bibles. When we experience “faith in Jesus Christ” as adhering to a set of rules and expectations, it strips the whole thing of validity and power. This is not what this verse is saying. Enns argues that a better reading would be “We know that a person is justified not by works of the law but the faithfulness of Jesus Christ.” In other words, maybe you’re already taken care of. Maybe this life of faith is not about being guilted into doing right things by a listing of sins and punishments. Maybe it’s about something more. Maybe, when you believe that your soul is not at risk of eternal damnation, you can actually live out the ideas that compassion, sacrifice for others, and unconditional acceptance are better ways to live. In deconstructing Jesus, it’s vital to see him as existing in a time and place. There used to be a song that our church would sing: When he was on the cross, I was on his mind. I’m not so sure of that any more. Maybe someday I’ll get back there, but what’s more interesting to me are the stories we have about him. Nothing about his stories would seem to tell me that following rules kept a person in. In fact, the Jewish understanding of faith was an ethnic one. You were born Jewish; it was fundamentally who you were. You were in just because you were you. This idea was just understood in all of Jesus’ teachings and, I believe, should be fundamentally true today. The bigger story of Jesus was not that he needed to die to make a bridge back to God. The bigger story is that Jesus was saying that there was no longer Jew and Gentile – everyone is in. When Jesus is no longer reduced to a means to and end, it’s easier to hear his call to a radical new way to see humanity. That we are, in fact, ALL God’s children. It’s not a question of what I have to believe to get in – this is humanity’s made up idea about God. It becomes about waking up to the idea that we can love inclusively the same way that Jesus loved. He called out he religious zealots and loved on everybody else, regardless of who they were, or what they thought. Their salvation was not being saved from an eternal hell, it was waking up to their value, their humanity, and their place at the table with the rest of the family. The ideas of membership and doctrine are everywhere. Human brains love to categorize and sort people into boxes but this also seems to run counter to the ideas of Jesus. What sort of emotions do you experience when you think about the idea that maybe everyone is in? How can boundaries and rules can be helpful? When do they become problematic? Maybe waking up to a new kind of faith is become aware that we are all going to be OK. How does life with no fear of hell change how you interact with other people?